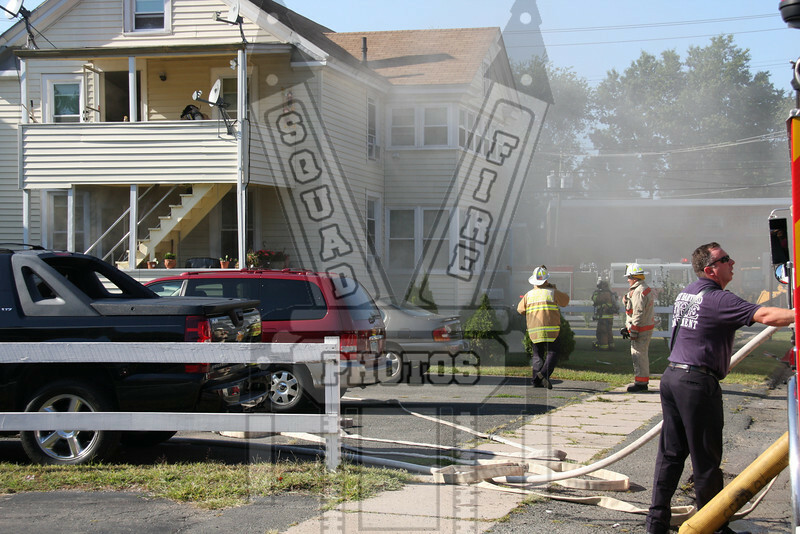 East Hartford firefighters worked at this 2nd alarm fire on 9/2/09 at 1615 hrs. Fire was located at 55 Bidwell Ave. On arrival the Deputy Chief reported smoke from the chimney. While waiting for the companies to arrive the D/C checked the basement from the hatchway, saw a alot of fire rolling across the basement ceiling and gave the working fire. With some extension into floor #1 the second alarm was requested. One cat was rescued from the attic. Pictures 50-53 show the bricks that were found between the studs on floor #1.